I am definitely guilty of chronic outfit repeating. Whenever I find something I like you can bet good money that I'll wear it more days in a row than I'd like to admit. But honestly- why not?! When you find something that fits great and is flattering it's pretty hard to resist. The good news is there are ways to wear your favorite jeans/skirt/trousers nonstop and still have people be none the wiser. 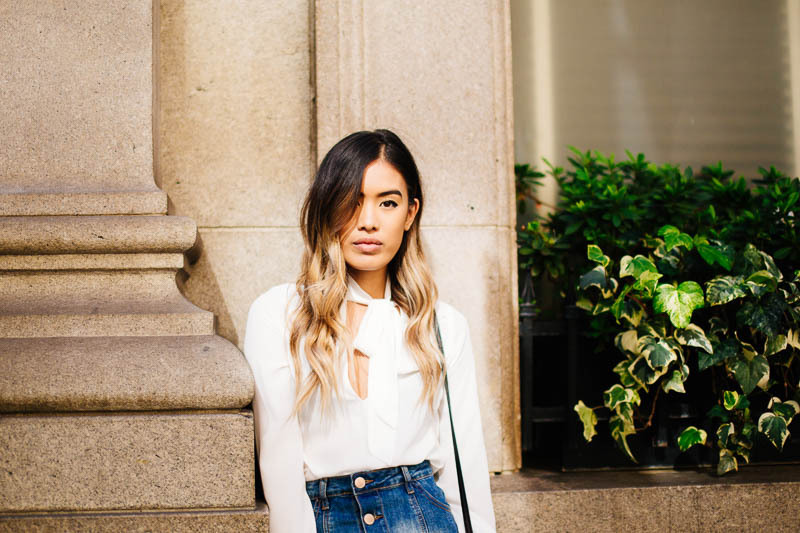 For this post I wanted to show how easy it is to change your look by simply changing your top so I've teamed up with Charlotte Russe to do just that! This year saw the return of the denim skirt. No, no, not the low-rise ripped hem variety but the high-waisted front button type. Think Alexa Chung and Topshop. Yes, now you've got it! So with that said, I thought it would be the perfect foundation for our three looks that can take you from scheduled filled days to unwinding nights (you earned it girlfriend). 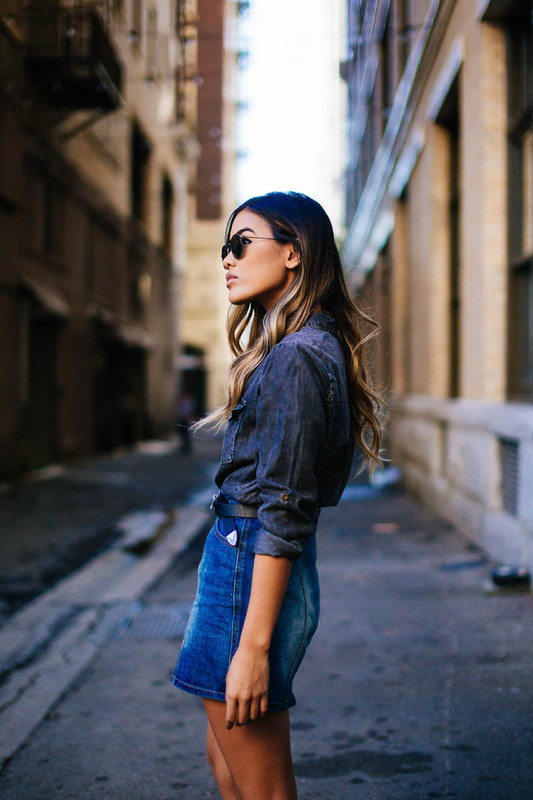 For my first look I paired the denim skirt with a denim top in a darker wash. A Canadian tuxedo always wins in my book. It can get tricky if the washes don't match enough or are not complimentary. Since my top is black denim I added a black belt and black boots to tie everything together. Accessories are always great to turn to for completing and rounding out a look. I would wear something like this to run errands or hit up a flea market. For my second look I swapped out the denim button down for a white blouse, some over-the-knee socks, and platform clogs. Skinny scarves and ties around the neck have also made a strong appearance this year. I find the look to be very romantic. I would wear this outfit to brunch on the weekends where hopefully a mimosa would be waiting for me. My final look is something I would wear out for the evening. 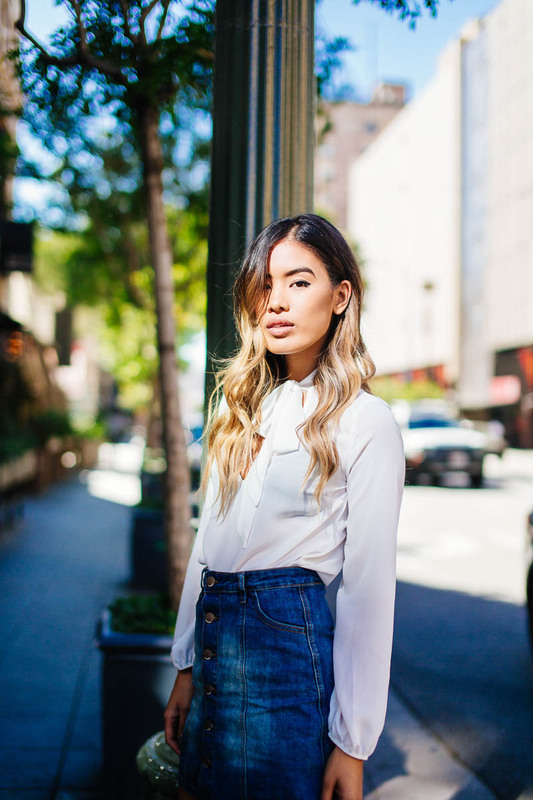 Still rocking the denim skirt but this time I've paired it with a deep plunging bodysuit. I'm all about proportions so since I'm showing leg and playing a major game of chest peekaboo, long sleeves are a must. To also give the skirt more of a night-time feel I chose to wear black and add a dressier print like leopard. The lace up heels also don't quite scream "Let's go to brunch or the farmer's market." So there you have it! Changing your look by changing your top can be a breeze and done with just a few modifications. All my looks today were created using head-to-toe Charlotte Russe. I would love to hear if you have any articles of clothing you wear regularly and ways you switch it up so be sure to leave a comment below! Until next time friends. Love every single look! 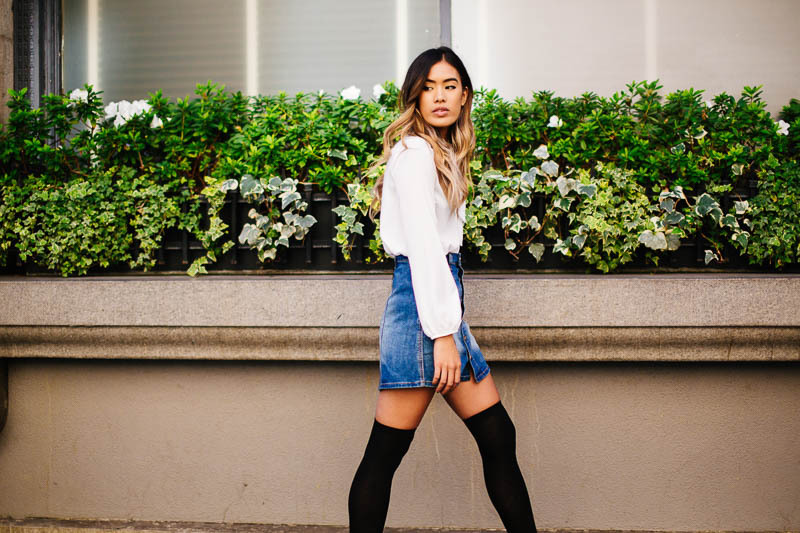 You really know how to style a denim button up skirt! LOVE this! 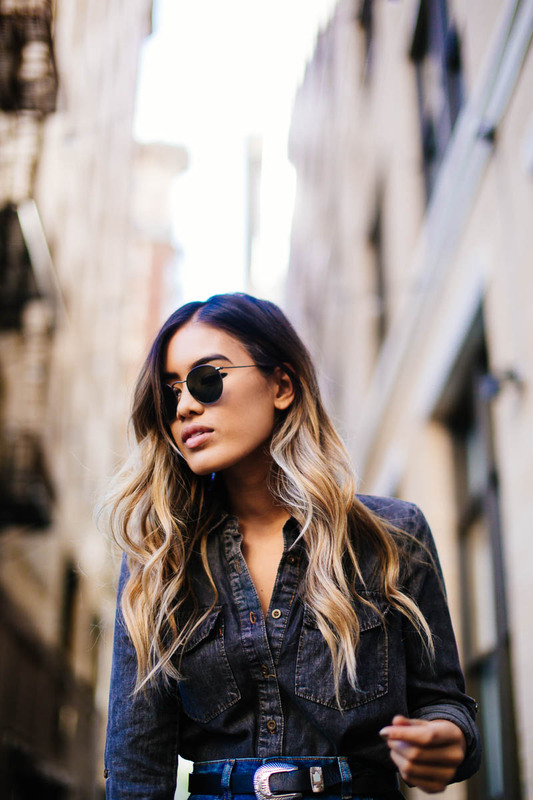 Especially the first look, that is some seriously perfect double denim!